For the past two months there has been a lot happening with Battle of the Books. Teams were formed back in January consisting of 4-5 students per team. All teams were given a list of 16 books in which they had to read and learn. This year, Wascher had 96 students participate, resulting in 23 teams. That is the most we have ever had! What started out as 23 teams, eventually became the top 8, and a double elimination tournament began. The top 8 teams moving on were: The Lafayette Lions, The butterfly Jewels, Nerdy Squad, Ninja Kittens, Wildcat’s Roar, Nerd Herd, Neon Ninjas and the Buffalo wings. The Butterfly Jewels lost their second battle, but came back strong, winning their next 3 and securing their place in the top 2. The Lafayette Lions also found their way in the final 2 by winning each battle they had fought, without losing any. The Championship battle took place during an all-school assembly. Excitement filled the air as both teams took the stage. The Butterfly Jewels came on strong winning the first battle, and forcing another round to be played. Parents, students and teachers were on the edge of their seats, cheering loudly for both teams. It was a great hard-fought battle, ultimately ending with The Lafayette Lions winning and thus becoming Wascher’s 2013 Battle of the Books Champions. The Lafayette Lions will move on to regionals and will represent Wascher, Saturday, March 9th @ 9:00am at the Lincoln Elementary School in Woodburn, Oregon. Everyone is welcome to go and cheer them on. All teams did very well, and we would like to thank everyone for their participation in the Battle of the Books this year. Thank you for a very successful year and we hope to see you all again next year! HAPPY READING!! The Lafayette’s July 4th Parade Planning Team has just started a blog and would love to get the word out about it to our local community. Not only will the blog have the full details for this year’s July 4th event, but this is also a place where they will be sharing ideas for how to weave fun American history lessons into every day life so our children can learn about our nation’s heritage. As we get closer to July 4th, they will be sharing ideas, links, resources, and local July 4th history that will hopefully inspire families as they prepare for our nation’s birthday! The PTA would like to thank the July 4th Parade Planning Team for all their hard work and dedication in making such a fantastic event in our little town. Come join us tomorrow night at 7PM in the Wascher Library for the February PTA Meeting. Just a quick reminder that if you are interested in helping the PTA get more information out to the Wascher community then come join us in the Wascher Library tomorrow Tuesday January 22nd at 6PM. We will be teaching the basics of using WordPress to publish Calendar Events, create informational Posts and build basic Web Pages. The new Wascher PTA web site has been great this year, but we still need to fill it with more information. If you are planning to attend please e-mail info@wascherpta.org and let us know. The first PTA Meeting for 2013 will be tomorrow night January 9th at 7PM in the Wascher Library. We have a packed schedule with a lot of great information to share. As mentioned in this weeks Wildcat Roar, Mr. Crain will be sharing more details about the new safety measures that are being explored for Wascher and will be answering any questions that parents may have about school safety. Preston Polasek, Lafayette City Manager, will be our guest speaker for this month. Our main PTA business for this meeting is to discuss school T-Shirts and Fundraising ideas for the rest of the year. We have had a great first half of the year and we look forward to an even better second half. Come and join us tomorrow night to get this second half kicked off right. Child care has been confirmed for tomorrow night, so bring the kids along. We hope to see everyone there! Check out the latest Wildcat Roar! Tomorrow night is the last PTA meeting for 2012! Come join us in the Wascher Library at 7PM to here what the PTA has been up to an help us plan for 2013. As always, childcare will be provided. Marty Palocios, Principal of Patton Middle School, will be presenting about what is going on at Patton and the recent Wascher visit. If you have students in 5th grade this is a great opportunity to find out about where they will be next year and to ask any questions you may have. We will also be conducting a quick retrospective to discuss how the year has been going, have we accomplished the ideas we set out in August, are there areas the PTA can improve on, etc. Your input, involvement and commitment is what makes the PTA what it is! The first Family Movie Night of the year was a huge success! 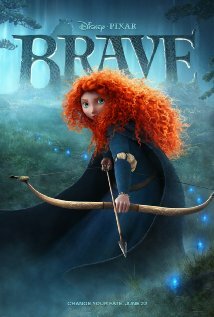 We estimated more than 250 students, parents and friends were in attendance to watch the movie “Brave”. There was plenty of popcorn, licorice and candy being had by all. The Wascher PTA would like to thank the McMinnville Jaycees for donating the water and McMinnville Les Schwab for donating the popcorn. join us for the next Family Movie Night in the Spring. McMinnville School District uses the FlashAlert Messenger System to notify parents, staff and community members about emergencies such as breaking news and weather closure information. To ensure that the system is working for subscribers a test of the Flash Alert system is scheduled for today, Thursday, November 15th. FlashAlert has been cleaning up it’s database and has deleted accounts that have been inactive for more than 16 months or had invalid addresses. Those subscribers were notified in advance. If you think you are a current FlasAlert subscriber, please watch for the test alert today. If you expect a message but did not get one, log in to review you account at: http://www.flashalert.net/login.html.